Incorporated in 1852, Oakland experienced a wave of growth in the late 1860s after it was selected as the western terminal of the Transcontinental Railroad. Its growth continued over the next several decades as it became a thriving transport hub, with a port, shipyards, and booming automobile manufacturing industry. The city’s population doubled to over 150,000 after the 1906 San Francisco earthquake, when many San Franciscans who lost their homes moved to Oakland. As the city’s industries thrived through World War II, tens of thousands of laborers from around the country, including poor whites and blacks from southern states, and Mexican Americans from southwestern states, came to Oakland in search of employment. Attracting new residents from across the country, Oakland became one of the most diverse major cities in the United States. As industries began to decline after the war, racial tensions grew, fueled by the mistreatment of racial minorities by a police force that was nearly 100 percent white. It was in this climate that the Black Panther Party was founded by students at Oakland’s Merritt College in 1966. The city’s challenges widened in the 1970s, as Oakland experienced serious problems with gang-controlled, large-scale drug operations. Crime soared, and Oakland's murder rate rose to twice that of San Francisco and New York City. 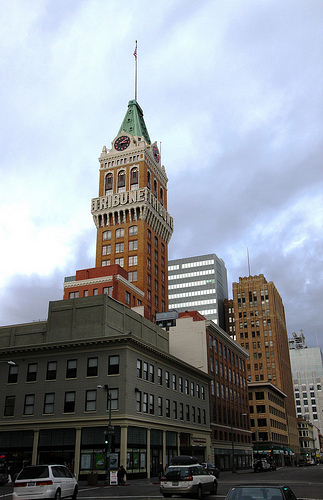 With an estimated 406,000 residents as of 2013, Oakland remains one of the nation's most multi-cultural cities. Its population is roughly 26 percent white, 27 percent African-American, 25 percent Latino, and 17 percent Asian American, with the remainder mixed race or other. Unfortunately, the city also continues to face serious challenges, with one out of five city residents living below the poverty line. Today, community wealth building organizations and initiatives are playing an important role in helping to address some of these challenges and revitalize the city. 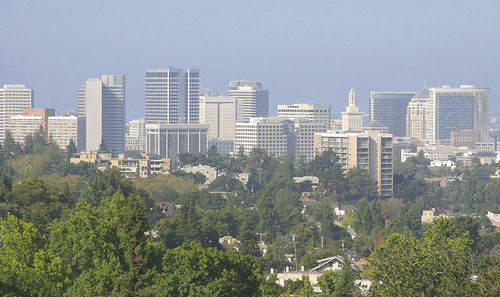 One area in which the city has had particular success is in sustainability and local food, and the efforts of food co-ops such as Mandela Foods, urban agriculture initiatives such as City Slicker Farms, and the city’s own Sustainable Oakland program are demonstrating results: Oakland has been ranked by numerous groups as one of the most sustainable, greenest cities in the United States. The city is also home to Prospera (formerly known as WAGES), whose exemplary model of helping low-income women form worker-owned cooperatives has helped over 100 Bay Area residents secure quality, empowering jobs.